Permanent, double-sided 1/4" tape squares are dispensed individually or in a row of two or more. Apply dry adhesive, leaves no mess or sticky residue. 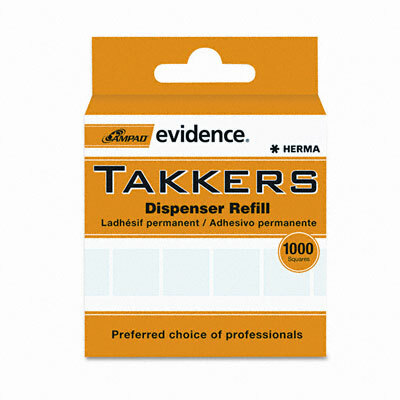 Easy to use, refillable dispenser. Apply dry adhesive, leaving no mess or sticky residue. Use instead of glue, glue sticks or tape. Acid-free. Permanent, double-sided 1/4" tape squares are dispensed individually or in a row of two or more.